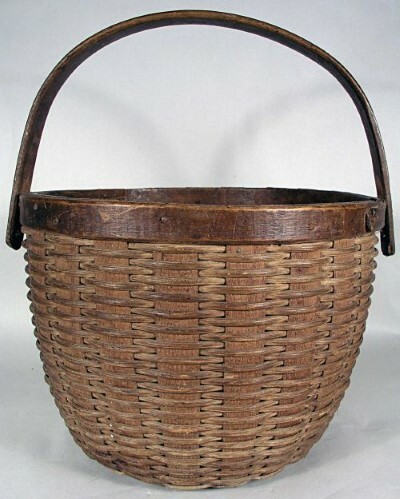 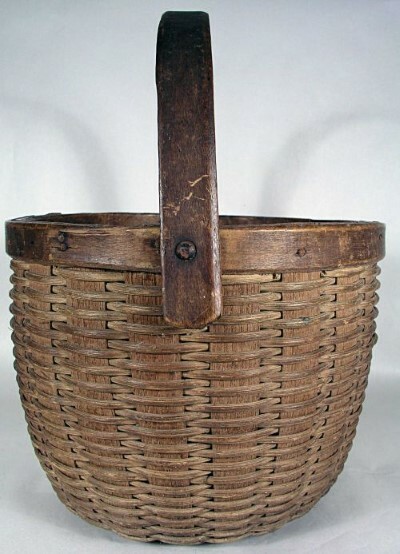 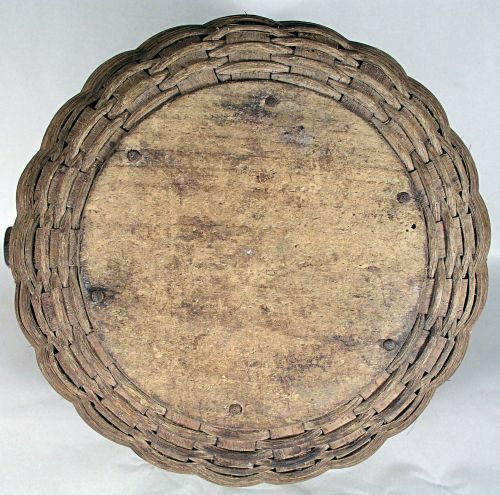 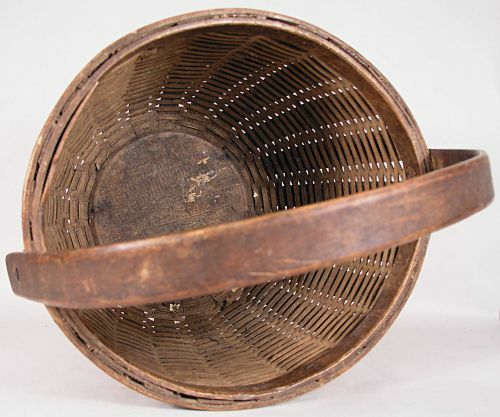 Small swing handled wooden bottom New Hampshire splint basket. 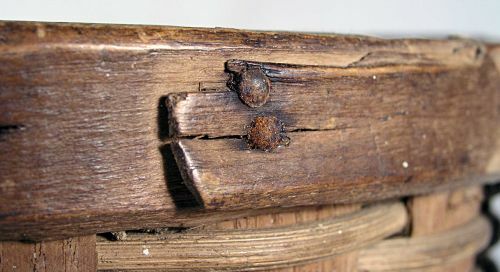 Fantastic nutty brown color with no broken splints and only a small break at the very end of the outer band. 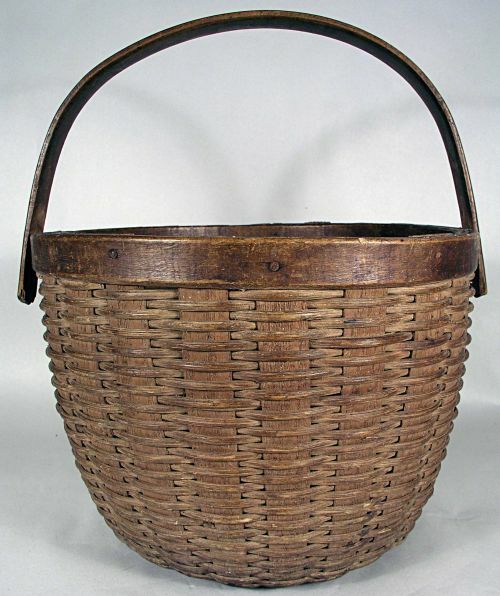 Dimensions: Measures 7 1/4" tall w/o handle and 12 1/2" tall with handle.Top measures 10" across at it`s widest point.